The significance of Mercury Retrograde. 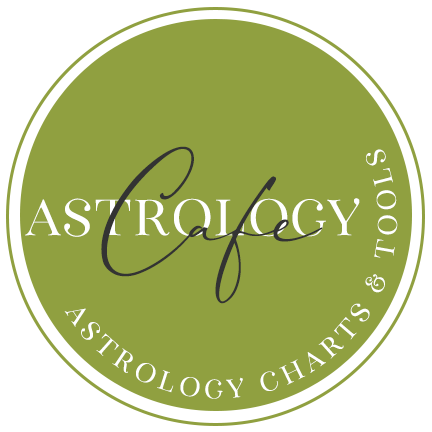 Indicators in the charts of people especially sensitive to the Mercury Retrograde cycle. How this Mercury Retrograde cycle affects each sign of the zodiac. What is Mercury Retrograde? Three, and sometimes four, times a year, the planet Mercury appears to be moving backward in the sky for a period of approximately 3 weeks. “Appears” is the key word here, because, technically speaking, no planet actually moves backward in their orbits around the Sun. In fact, they don’t even slow down. Retrograde-station-direct cycles are essentially illusions that result from our point of view from Earth, simply because the Earth is also orbiting the Sun at a different speed than the other planets. Mercury turns retrograde more frequently than any other planet. It can never be more than 28 degrees from the Sun, and whenever it reaches its furthest distance from the Sun, it changes direction. Mercury is Retrograde in the sign of Leo from July 26 to August 19, 2018. 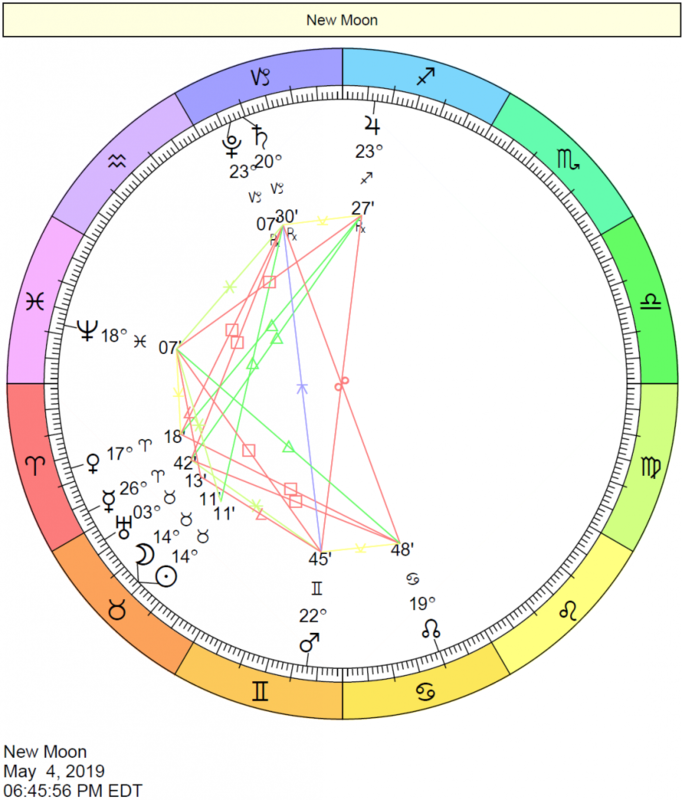 Where is Mercury Retrograde transiting by house in your natal chart? 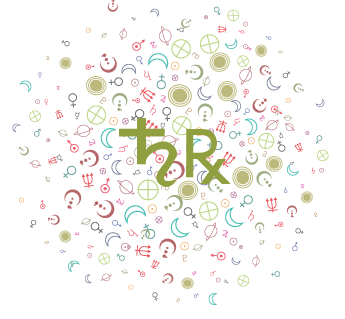 Is it conjunct a natal planet, your Ascendant, or Midheaven? Read interpretations of Mercury Retrograde in Transit for a more personalized meaning of the transit cycle. See also Retrogrades and Retrogrades in the Natal Chart. Mercury is retrograde from July 26th to August 19th. Mercury’s shadow period begins July 7th, 2018, and ends September 2nd, 2018. Note that the shadow period begins before Mercury turns retrograde–when Mercury first passes over the degree that Mercury later returns to in retrograde motion. The shadow period ends when Mercury again passes over the degree at which it first turned retrograde. The shadow period is different than Mercury’s storm period in astrology, which refers to the period when Mercury is moving especially slowly. Note that Mercury’s post-retrograde shadow is generally better for new long-term endeavors than the pre-retrogrades shadow. For new enterprises in the pre-retrograde shadow, the venture’s secondary progressed Mercury will turn direction (retrograde) in the coming years which may not be ideal. Also note that things are most wonky on the days of the stations whether Mercury is turning retrograde OR direct (the start and end date of the retrograde cycle) as the shifts occur, after which we grow more accustomed to the energy. Mercury is retrograde approximately three times a year for approximately three weeks each time. As such, retrograde Mercury is a fairly common occurrence (Mercury is retrograde approximately 18% of the time). As the planet of communication, Mercury retrograde tends to breed a certain level of confusion. Mercury rules our “lower” mind–how we perceive and interpret information that we receive from our environment, and how we relay that information to others. Mercury has rulership over such things as speaking, negotiating, buying and selling, listening, formal contracts, documents, travel, the mail and shipping, and so forth. All of these areas of life are affected when Mercury is functioning in a sluggish state. Decision-making is challenged during Mercury retrograde. Needless to say, it is not advised to sign contracts, engage in important decision-making, or launch a new business. Delays and challenges are more probable with Mercury retrograde. It’s a time when being careless with money, our personal information, or paperwork can be costly. While Mercury is retrograde, we may be rethinking a previous opinion or idea. Looking to the signs and houses it transits can give clues as to what we may be reconsidering. Mercury retrograde periods can be times of heightened inner awareness, when meditation, benefiting from keeping a journal, reworking old plans, and reviewing past work are favored. Mercury retrograde is powerful for studies, particularly for returning to old studies or for re-learning or refreshing knowledge in a subject already taken. It is important to note that there is absolutely no reason to suspend projects or anything of the sort during the Mercury Retrograde cycle. It’s not an ideal time to start new ones or to sign contracts, simply because a change of mind is quite likely once Mercury turns direct. However, it’s a fabulous time to do some “outside of the box” thinking. Acting on our ideas, however, might be best left for a Mercury Direct period. Not everyone feels the stronger effects of Mercury retrograde. Some people born with Mercury retrograde in their natal chart, for example, feel that they don’t experience the effects described above as intensely as others, while others do. When Mercury is retrograde in the natal chart itself, the thinking processes are generally acuter, and the sense of humor rather quirky. People with Mercury retrograde take in information differently than those with Mercury direct in their natal charts. How many people are born with a retrograde Mercury? Roughly 18%. 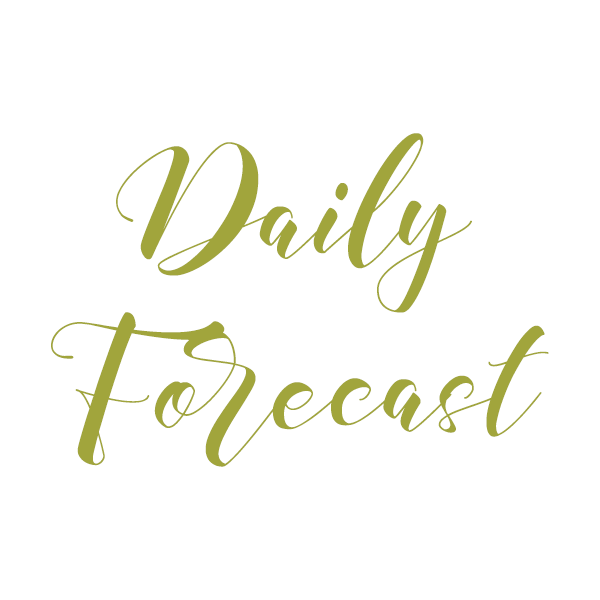 Pay close attention to what you say and communicate in general, particularly around the days of Mercury’s stations (July 26th and August 19th), as well as around retrograde Mercury’s conjunction to the Sun on August 8th (midway between the start and end of the retro period). If you are itching to make a point with someone, especially, or if you are planning on “signing on the dotted line,” try to hold off. It is likely that you will have a change of mind once the station passes, and you can do some damage in the meantime. When a planet stations, its energies are very strong in our lives. When Mercury stations, communications have more impact, so that negative ones could have long-term implications at this time. However, if you are very clear within yourself and about what you are communicating, this can be a positive thing. With Mercury retrograde in Leo: We might look at past decisions and ideas from a new, possibly enlightened perspective. This is a time for reconsidering an initiative or venture. It’s strong for returning to an old project or pursuit. This can be a period for returning to old hobbies or forms of recreation with a renewed perspective. We may be thinking about past accomplishments, loves, and creations more frequently, seeing them a little differently now. Past ideas and perceptions of lovers, children, and creative pursuits can emerge and change. Mercury in Leo likes to be on top of things, and this can be a time when a lot of little things can go wrong, however, so it can be frustrating at times. We may be returning to past projects and refining or tweaking them. We can find usefulness in old or past ideas and recycle them in new ways. We might consider renewing past ventures where we may have had false starts, but this should be done in a new way for things to work this time around. With Mercury in Leo, we prefer to learn from our own experience rather than instruction, and not listening during this Mercury retrograde period can be especially costly. Retrograde Mercury aligns with the Sun in Leo mid-retrograde — on August 8th, 2018 — bringing illumination to our thoughts. This inferior conjunction presents a favorable time for processing recent events and ideas, and for beginning to look at problems or issues from a new perspective and with a new understanding. What we say or write now has an impact, for better or for worse! Significant new ideas can be birthed at this time. On the 18th, the day before Mercury turns direct, retro Mercury forms a sextile to Venus, and this can be a brilliant time for benefiting from looking back. Mercury begins retracing its steps in direct motion from August 19th, 2018, forward (its shadow ends on September 2nd, 2018). People don’t say what they mean, or mean what they say! Some people are more sensitive to Mercury retrograde cycles than others. Mercury-ruled Gemini and Virgo natives are likely to be particularly sensitive to the effects of Mercury Retrograde in general. This applies to anyone who has a number of planets in either sign. Also, check to see where Gemini and Virgo are found in your natal chart. If Virgo is on the third house cusp, for example, (which is often the case for Cancer Ascendant natives) communication issues may be especially strong. If either of these signs is on the fifth house, then we can expect some communication problems with people associated with the fifth house–lovers and children, for example. Aries and Aries Ascendant: All Mercury retrograde cycles particularly affect you in terms of communications in general and job or health-related communications because Mercury rules these areas of your life in your solar chart. There can be delays or rethinking with these matters. You can benefit from doing important editing work on projects in progress. Occurring in your solar fifth house this time, extra care should be exercised when it comes to matters surrounding romance, children, and creativity. Be as non-judgmental as you can with romantic partners and your children, if applicable. Re-thinking the suitability of your romantic relationships is possible now, but you should avoid jumping to any premature decisions. There may be the need to revisit old issues with your children or lover, or there could be some communication problems with the same. Arguments with a lover may be blown out of proportion far too easily. Both you and your lover should avoid harping on the words used and try to get to the meaning behind the words instead. Or, a romance may not be moving forward in obvious ways. It might seem like stagnation, but it's actually a period of review and rest. Other possibilities include calls that are not returned, a lover is late for a date, or dates get cancelled. Speculation and gambling are not advised right now. It's probably not the best time to launch a new creative project, but it's a good time for reworking an existing one. Same goes for romance! Things will change after Mercury turns direct, so you might decide to try to keep status quo for the time being. It would be wise to be especially clear when it comes to communicating with romantic partners, and children; or take this time to re-examine issues rather than communicating about them prematurely. Taurus and Taurus Ascendant: All Mercury retrograde cycles particularly affect you in terms of communications with lovers or children, and regarding financial affairs, because Mercury rules these areas of your life in your solar chart. Your judgment with regards to personal finances (Gemini-ruled for you) as well as romantic partners and creative endeavors may not be up to par just now, so do avoid “signing on the dotted line”. Speculation is not advised during this cycle. Occurring in your solar fourth house this time, extra care should be exercised when it comes to family relations, real estate matters, and domestic issues. Be as non-judgmental as you can with family members. It may be challenging to keep a healthy perspective regarding deeply personal matters and family. Family members may be on edge, or appear to be. Home repairs may not turn out as expected. Try to put off major decision- making with regards to home improvement, moving, and family matters for the time being. New initiatives surrounding home and property are best left for a better time, but reworking and reorganizing your home can be especially fruitful now. Gemini and Gemini Ascendant: All Mercury retrograde cycles particularly affect you in terms of your personal presentation or image to others and communications with family because Mercury rules these areas of your life. Because Mercury is your sign’s ruler, all of the common Mercury Retrograde issues may apply. Put off making important decisions with regards to family and domestic matters (Virgo-ruled for you) just now, and take care when it comes to communicating with family members. Look at domestic matters from a different angle – review and reflect. Occurring in your solar third house this time, extra care should be exercised when it comes to composing letters, emails, making phone calls, and with communications in general. There may be the need to revisit old, nagging issues with siblings or neighbors, errands could go wrong, you might have trouble getting from point A to point B (example, transportation problems), emails or letters get lost, and so forth. Idle chit- chatting during this period may have repercussions! People might be misunderstanding your words. You may be forgetful during this cycle, and it makes sense to allow yourself extra time to get to appointments, if they are not cancelled in the first place! It would also be wise to double-check your work and communications before sending them off. 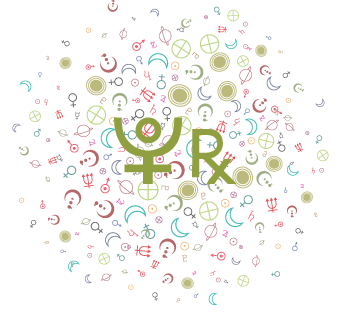 Cancer and Cancer Ascendant: All Mercury retrograde cycles particularly affect you in terms of personal communications in general as well as communications about the past because Mercury rules these areas of your life. Your intuition usually serves you very well, but may not be up to par for the time being. Take care when it comes to presenting ideas, writing letters, and any detail work. You may not be seeing the whole picture. Occurring in your solar second house this time, extra care should be exercised when it comes to new financial initiatives. There may be the need to revisit old, nagging issues regarding personal finances. Take this time to re-budget instead of making premature purchases. Hold off on major decision-making regarding money. Instead, take the time to re-think your sources of income and how you spend your cash during this period, but put off finalizing anything important for the time being. In fact, some money-making ideas or ventures may be put on hold due to circumstances beyond your control. This is an excellent period for review, however. Leo and Leo Ascendant: All Mercury retrograde cycles particularly affect you in terms of personal finances, as well as communications with friends or groups, because Mercury rules these areas of your solar chart. Major financial initiatives should be avoided. Remember that friends don’t mean what they say and don’t say what they mean, and take what you hear with a grain of salt. Group meetings may be delayed or canceled. Occurring in your solar first house this time, extra care should be exercised when it comes to your body language. Others may misinterpret your body language, and you should be aware of a tendency to give off mixed signals. People in your life may complain that you seem emotionally distant. You may appear uncommunicative and hard to reach, or what you say comes out wrong. This is a time to review the manner in which you come across to others--not so much whether it truly reflects your nature, but more in terms of whether it is working for or against you. Don't worry too much if others aren't quite "getting" you for the time being. Things will change once Mercury turns direct, so you might decide to try to keep status quo for the time being. You might spend more time than usual when it comes to making decisions now, and this is natural. Rushed decisions may be regretted when you change your mind later on. Virgo and Virgo Ascendant: All Mercury retrograde cycles particularly affect you in terms of your own body language and personal manner (you may feel that others misunderstand you), as well as communications involving the career or public, because Mercury rules these areas of your solar chart. You are ruled by Mercury, so the likelihood of being misunderstood, in general, is high. Put off career decisions as well, as career matters are Gemini-ruled for you. Occurring in your solar twelfth house this time, extra care should be exercised when it comes to privacy matters. You may find that you are less able to rely on your intuition. Perhaps you're picking up the wrong cues or reading too much into situations. Whatever the case may be, for the time being, you may not feel that your intuition is serving you well. Be as non-judgmental as you can, but do keep an eye out for deceptiveness and falseness in others. You might unwittingly reveal something that you'd prefer to keep private. It would be wise to be especially clear when it comes to communicating about your inner world now; or take this time to re-examine issues rather than communicating about them prematurely. Libra and Libra Ascendant: All Mercury retrograde cycles particularly affect you in terms of communications involving legal affairs, travel, and education, as well as communications about the past, because Mercury rules these areas of your life. With Virgo ruling your twelfth house sector, somebody might be deceiving you or working against you, or nagging issues from the past may crop up and demand attention. Put off making solid travel plans if possible. Occurring in your solar eleventh house this time, extra care should be used when communicating with friends. You may find that communications with friends or with groups can easily become sticky during this cycle. Group meetings may be postponed or cancelled, and friends may be uncommunicative or giving off mixed signals. On the other hand, old acquaintances may appear during this cycle, or you could be thinking about contacting an old friend. This may be a good time to do so. It would be wise to be especially clear when it comes to communicating with friends and associates during this cycle; or, better yet, take this time to rethink concerns and grievances before talking about them prematurely. 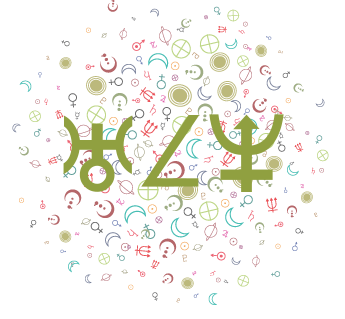 Scorpio and Scorpio Ascendant: All Mercury retrograde cycles particularly affect you in terms of communications with friends or groups, as well as intimate communications and shared financial resources, because Mercury rules these areas of your life. It would be wise to be especially clear when it comes to financial transactions and personal communications with friends, or, better yet, take this time to re-budget or rethink your plans instead of taking premature action. Group meetings may be postponed or canceled, and friends may seem distant or confused. Occurring in your solar tenth house this time, extra care should be exercised when communicating with the public, superiors, and co-workers. You may find that communications with bosses and co-workers, and concerning professional matters in general, can be tricky during this cycle. Strive to be as clear as possible so that you are not misunderstood when dealing with the public. Put off making definite career decisions as much as possible for the time being. You may be re-thinking matters regarding your life path, which is a good idea, but it's best to think rather than act for now, as your judgment may be compromised. It would be wise to be especially clear when it comes to communicating with authority figures during this cycle; or, better yet, take this time to rethink concerns and grievances before talking about them prematurely. Sagittarius and Sagittarius Ascendant: All Mercury retrograde cycles particularly affect you in terms of communications with bosses or in your career in general, as well as communications with a close partner, because Mercury rules these areas of your life. An argument over joint finances can also get you into hot water. Hold back. Because Virgo and Gemini are on the angles of your chart, you may be especially sensitive to all of the common Mercury Retrograde issues. Occurring in your solar ninth house this time, extra care should be exercised regarding travel or education plans. Delays or complications are very possible in these areas. Go over applications carefully before submitting them and make sure you understand instructions clearly. Expressing your opinions now might come across in entirely the wrong way. It would be wise to be especially clear when it comes to communicating with professors and lawyers as well; or take this time to re-examine issues rather than communicating about them prematurely. Capricorn and Capricorn Ascendant: All Mercury retrograde cycles particularly affect you in terms of communications regarding travels, legal matters, or opinions, as well as communications on the job and with co-workers, because Mercury rules these areas of your life. It’s best not to sign on the dotted line for the time being, especially when it comes to making travel plans or any legal contracts. There could be irritating mess-ups on the job. You might be inclined to miss important details in your paperwork, or might experience frustrating delays that result from co-workers’ errors. Travel plans may go awry, or you may have a change of heart. Occurring in your solar eighth house this time, extra care should be exercised regarding any financial initiatives that involve shared resources. Delays are very possible when it comes to receiving support, loans, and taxes. It may be better to side-step arguments with loved ones that revolve around intimacy and sexuality just for now, or approach these matters with more sensitivity if they can't be left for a better time. Investments made now may not go the way you want them to, particularly those involving joint finances. It may be hard to rely on the input of your partner now, and money you were counting on may not be forthcoming. It's best to budget rather than spend during this period, and in fact it's an excellent period for review. It would be wise to be especially clear when it comes to communicating with financial officials and intimate partners; or take this time to re- examine issues rather than communicating about them prematurely. Aquarius and Aquarius Ascendant: All Mercury retrograde cycles particularly affect you in terms of communications regarding intimate and financial matters, as well as communications with children or romantic partners, because Mercury rules these areas of your life. It’s not a good time to file your taxes or apply for a loan. Instead, take the time to re-think your sources of income and how you spend your cash during this period, but put off finalizing anything for the time being. Speculation and gambling are not advised right now either. Occurring in your solar seventh house this time, extra care should be exercised when it comes to negotiations and one-on-one communications. Be as non-judgmental as you can with a partner. There may be the need to revisit old issues in a partnership, or there could be some communication problems with a partner. An ex-partner may resurface during this cycle. Misunderstandings with your partner now can do some damage if you (or your partner) focus on the choice of words instead of the meanings behind the words. If you need to talk through problems, try not to over-react to what your partner has to say. Mixed messages coming from a partner, or a disappointment, could occur now. You may not be as adept at mediating disputes for the time being, but it's a good cycle in which to reflect upon your negotiation skills with the goal of improving them. Re-thinking a partnership arrangement is possible now, but you should avoid jumping to any premature decisions. It would be wise to be especially clear when it comes to communicating with partners; or take this time to re-examine issues rather than communicating about them prematurely. Pisces and Pisces Ascendant: All Mercury retrograde cycles particularly affect you in terms of communications with a partner or about partnerships, as well as communications with or about family and home, because Mercury rules these areas of your life. It will be important to avoid signing any contracts or making important partnership or family/home decisions during this cycle. Occurring in your solar sixth house this time, extra care should be exercised when it comes to work, health matters, and daily routines. Be as non-judgmental as you can with co-workers and/or employees. Re-thinking the suitability of your job is possible now, but you should avoid jumping to any premature decisions. Work-related mess-ups can frustrate you, or you might need to redo work that you thought was complete. However, you might find that the refinements you make now will be very valuable later. Double- check your work before submitting it. It's a fine time for researching health and nutrition programs, as well as job skills and opportunities, but perhaps not the best time for beginning all-new programs. It would be wise to be especially clear when it comes to communicating with co-workers and health professionals; or take this time to re-examine issues rather than communicating about them prematurely. See the Transits of Retrograde Mercury page.